Biomedical Engineering in Medicine and Aging – Fight Aging! Living much longer lives will happen soon, de Grey contends, challenging the notion that aging is inevitable or even natural. Radiologist Joon Yun agrees. Yun is president and managing partner of Palo Alto Investors. His family foundation has sponsored a number of initiatives and made a US $2 million gift to launch the National Academy of Medicine's Healthy Longevity Grand Challenge, to "solve aging" as he puts it. Like de Grey, he says he is focused on improving quality of life so that people will be able to continue their active lifestyles without any trouble, no matter their age. As people get older, they experience a decline in such vital functions as memory, digestion, and blood circulation. Yun is focused on what he calls functional longevity. He is offering a $1 million cash prize to researchers who can "hack the aging code," or find a solution to aging that would prolong lives and maintain quality of life. Yun's approach to prolonging life span is to restore the body's ability to respond to stress, known as homeostatic capacity. As we get older, our capacity declines, causing functions to weaken. Yun is looking for entrepreneurs and engineers who have ideas on how to measure homeostatic capacity. "Rather than thinking about inflammation as a cause of aging, we should think about it as a loss of inflammatory capacity. Instead of thinking that weight gain is just part of aging, think of it as a loss of metabolic capacity." I have one engineering problem that had solution 30 years in the future for the last 50 years. A controlled nuclear fusion. "I have one engineering problem that had solution 30 years in the future for the last 50 years. A controlled nuclear fusion." Please don't repeat the myth. It's too boring and have been boring for decades. 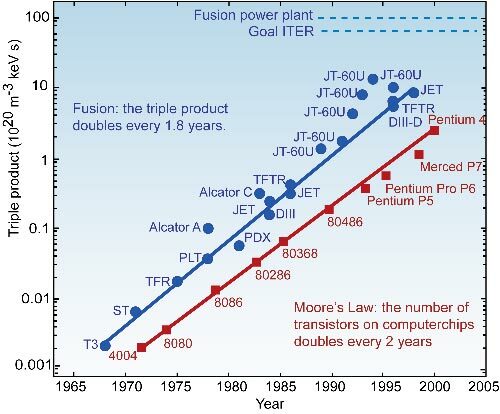 Scientists have a measure of progress in fusion research almost from the beginning, and progress has been very predictable for at least 3 decades, so no, they didn't keep repeating that stupid sentence, only laymen repeat it, ad nauseam. It is all true and yet there is no practical outcome. Thev progress in research abilities and fine details discovered are huge booth in fusion and biology and ironically with rejuvenationwe might have earlier applied results. @Reason, I really cannot understand his words' game. "Rather than thinking about inflammation as a cause of aging, we should think about it as a loss of inflammatory capacity." His "inflammatory capacity" looks like "lost of proteostasis" from Hallmarks. Which both are euphemism and have nothing to real life. "Lost of proteostasis" is just organismal reaction to damage accumulation. In the case of inflammation -- just remove the structural source (for example, senescent cells) and you will get rid of it.